The Pennsylvania Longrifle Museum, which opened to the public in 2006, contains a substantial collection of original, hand-crafted Pennsylvania longrifles and items related to the making of longrifles from the eighteenth and nineteenth centuries. The Pennsylvania Longrifle Museum features more than 100 historic arms on either permanent display or in rotating, topical exhibits. 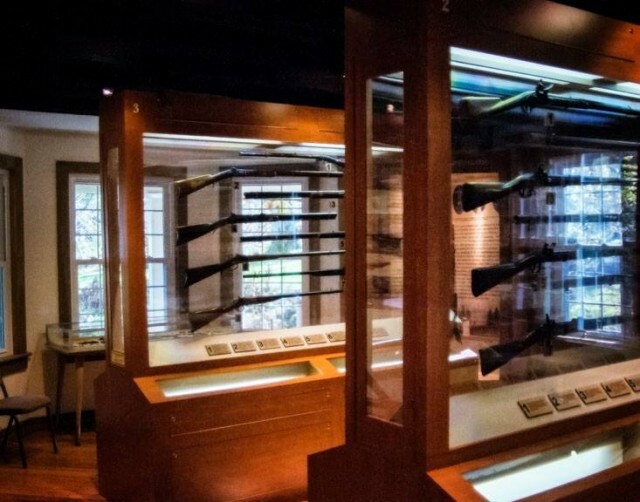 Displays feature Henry firearms dating from the American Fur Trade, the War of 1812, the Civil War, the American West, and the early twentieth century. Most of the firearms were made by the Henrys of Boulton, but the collection also contains arms made by Abraham Henry (1768-1807), who apprenticed in Nazareth under his brother William Henry II (1757-1821) but returned to Lancaster to practice his trade. The Boulton area itself produced guns for more than 100 years. These and related exhibits are housed in special galleries at the historic Henry Homestead at Boulton. 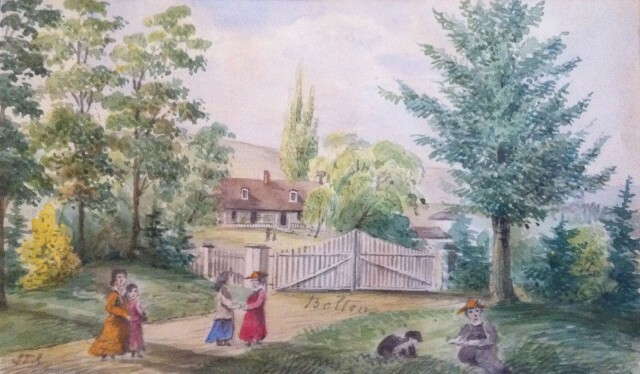 This early drawing of the Henry Homestead is by Levin T. Reichel, who was a teacher at Nazareth Hall (1834-37), a pastor at Schoeneck and Nazareth (1837-49), and then the principal at Nazareth Hall (1849-53). James Henry was living in the home then. William Henry III (1794-1878) seems to have expanded an existing structure on this site to house the workmen to helped build Boulton in 1812 and he moved into the home, after his marriage, in 1817. The family continued to use this enlarged home as a residence into the twentieth century. James Henry (1809-1895) lived most of his long life here, while his son and partner in the gun business, Granville Henry (1834-1912), lived with his family across the street at what we now call the John Joseph Henry House.